This paper clarifies Burke's ideas on education in his 1955 essay entitled "Lingusitic Approach to Problems of Education" and relates it to the context and circumstances to which Burke was responding at the time of that essay. The papers shows Burke's writing as an expression of his characteristic position as a thinker, that is as a responsive dialogist who used it as a tool of invention. Using archival materials from the Kenneth Benne papers at the University of Vermont, the paper tells the story of Burke’s essay and his relation to the key ideas in educational theories at the mid-point of the 20th century. Kenneth Burke’s work had appeared in social science journals in the 1930s and 1940s and later and he published a few essays in the Journal of General Education; but his appearance in Modern Philosophies and Education seemed quite different, putting him in company with mainstream educational theorists, who were the volume’s editors, and it was a unique appearance in such a context by Burke. Not only had Burke not published before in a book or journal of educational theory, but Modern Philosophies and Education was a volume bringing together the work of different “general philosophers,” as its introduction says, for the insights philosophy might provide to education, and Burke was no more likely to have written or delivered papers as an academic philosopher in this period than as an educational theorist. Though Dramatism could be called a philosophy and there were people who regarded it as such in the period, it was still a stretch to call it a “general philosophy” in the sense implied by the Yearbook’s editorial committee, which brought together in the volume the main philosophies studied in academic departments of the day—Thomism, Pragmatism, Realism, etc. Burke’s philosophy was not studied in this way at that time, and it was also distinguished by being a philosophy—if it was one at all—with only its philosopher, rather than a school, as its source of texts others could read or develop the philosophy further from. How did Burke come to appear in this book whose other writers, with one exception, were professors of philosophy in universities and one a professor of education? Burke’s education essay has been recognized by other writers as a crucial part of his oeuvre, written at a period when he was producing essays on poetics for his projected “Symbolic of Motives,” which William H. Rueckert has argued “Linguistic Approach to Problems of Education” should be considered part of (Rueckert 2007). In this sense Burke’s essay has a meaning integral with his theory of Dramatism and complete in this sense without the meaning it might have had for educational theory at the time it was written, obscurely suggested in the footnote on its first page naming Kenneth Benne as Burke’s “consultant” for the article. An astute reader might well understand Burke’s idea in its own terms from the text of “Linguistic Approach” itself, and a reader who knew Burke’s Dramatism might understand the way “Linguistic Approach” works out the themes of that philosophy. But reading the essay in its original educational context, in the sort of “behind-the-scenes” reading I shall attempt here, reveals a resonance in the article with ideas of education that further brings out the clarity and point of Burke’s thought. Kenneth Burke was a responsive as well as an original writer; his characteristic habit was to follow his intuitions as his starting point, but to work out their expressions at least partly as responses to the intellectual life of his time and place. His inclusion of a letter he received from Benne in the first pages of “Linguistic Approach” and his summary there of things Benne had done with or written about Dramatism suggest that “Linguistic Approach” was no exception to this pattern. Burke’s educational idea in “Linguistic Approach” might seem to be one that he spun out as a web from his own characteristic resources, but reading it in the context of his invitation to write for Modern Philosophies and Education, which called on its contributors to address an agenda of contemporary interests in education, and of the further exchange he and Kenneth Benne undertook as part of the process of producing the article, brings out this aspect of Burke’s character quite clearly. This is not to say that the ideas of “Linguistic Approach” came from anywhere but in Burke’s idea of Dramatism, but that their expression and clarification had much to do with his responsiveness to the particular occasion of being asked to write an essay for the editors of Modern Philosophies and Education. The biographical footnote accompanying Burke’s essay in Modern Philosophies and Education is thus not a mere ornamental niche in the labyrinth of its author’s ideas, but a back-passage worth following, a work-space where the inventor put together some of the devices his command performance traded on. Burke’s development of his Dramatistic idea for education in this context was deeply relevant to several important contemporary ideas in educational theory, a fact that makes his transformation of them in “Linguistic Approach to Problems of Education” all the more interesting. The present essay attempts to spell out the history of Burke’s insight with a reading of “Linguistic Approach to Problems of Education” in light of the editorial aims of Modern Philosophies and Education and of the full written exchange of ideas Burke and Kenneth Benne engaged in about it, which is found in the rest of Benne’s letter and Burke’s written response to it, both of which are preserved in the Kenneth Benne Papers at the University of Vermont. Burke mentions these connections with Benne in “Linguistic Approach.” I will discuss them further along here in more theoretical detail, as they are important to understanding Burke’s development of his position in his article. This background of Benne’s interest in Dramatism shows something of the aptness of Modern Philosophies and Education’s matching of Burke and Benne and suggests that Benne was responsible for bringing Burke into Modern Philosophies and Education. The editorial agenda of the volume suggests that each “general philosopher” it included was an obvious or natural choice and that the consultant was then sought to provide help. But in fact Dramatism was not generally studied in philosophy departments at universities at the time, as were the other philosophies represented in the volume, and the choice of Burke was thus most likely an expression of Benne’s prior interest in Dramatism, which would have been equally unfamiliar to professors of education as to academic philosophers at the time. But while Benne’s theoretical interest in Burke’s Dramatism goes a long way to explain Burke’s selection as a contributor to the Yearbook, Burke’s development of his ideas in “Linguistic Approach to Problems of Education” also vindicates his selection in the astuteness with which it addresses primary concerns of the Yearbook itself. Brubacher had set out what he saw and the essential concerns or “anxieties” about education in the public and among educational theorists at the time, which included concern about the ideological neutrality of educational methods, having universal standards for knowledge, the role of religion in education, and the worry many people felt that education at the time was “adrift without a rudder.” Burke’s essay addresses these concerns, sometimes obliquely but sometimes head on. Brubacher added to his list several other themes that were particularly important to Kenneth Burke: the relation of secularization to modern society and the relation of modern learning to religion; the possibility of a “neutral” basis for education and of the discovery of “ultimate and perennial” goals of education; and the possibility of social philosophy taking the lead in guiding education. The oddness in finding Kenneth Burke in Modern Philosophies and Education further dissolves when these mutual interests are taken into consideration and the interest of Burke’s essay increases when seen in this context. This close relation of Burke’s thought to the interests of the Yearbook, and the unique turn he gives to his argument in view of them, are important to understanding “Linguistic Approach to Problems of Education” and its original context. Burke affirms his idea of the goals of education in three related expressions, each deeply implicated in the theoretical character of Dramatism. He says education should aim to give the student a “terminology” for the interpretation of representative human motives, which are the same in life situations and in poetic texts; that it should eventuate in a “sophisticated and methodized set of parables, or fables”; and that it should prepare students for seeing through the “clutter of machinery, both technological and administrative, which civilization has amassed in its attempts to live well.” Education, Burke says, should accomplish the latter by cultivating a sense of “the ironic nature of the human species” (Henry 1955, p. 269, 270, 271). By this he means a sense of the way the solutions people devise for problems tend to become counter-productive or to rob their devisers of the kinds of satisfactions they might have thought they were preparing. This is Burke’s basic view of the irony of symbolic inventiveness. The educational program Burke offers to meet these aims would then be negative and “admonitory,” and in this sense it distinguishes itself from the progressive, melioristic approach advocated by various educational theorists of the time. Burke predicates “Linguistic Approach to Problems of Education” on a dialectical pair of terms, “appreciation” and “admonition,” which he expects should work together as elements of a process of learning from texts. “Admonition” is the complementary attitude mimicking the work of the negative in the original production of texts the reader would tend to appreciate. The reader, in Burke’s view, feels positive appreciation for a text in admiring its technical achievement, but the work has itself been generated by a negative principle, which is its exclusion from its symbolic arrangement of anything that would contradict its fidelity to a social pattern or order that its language presses it to represent. According to Burke, texts in their aesthetic forms represent social and moral proprieties that make them acceptable to their public audiences. Burke regards the creative process as a selection of means influenced by the negative, by the tacit exclusion of things that would not seem acceptable—things that would not “satisfy desires” in the audience, which are in the first place socially-set motivations. What there is to appreciate in a text, then, has been generated in part by the negative and this negative principle is hidden in the workings of the text. The same would be true for life situations, which form according to symbolic principles they have in common with poetry—a principle Burke developed in his earlier writings, including Permanence and Change, published in 1935. A key thing Burke wants students to learn is how to recognize these implicit negatives and the way he suggests they might do that is by turning appreciation into a new negative, “admonition,” to be used as a critical and educational principle to prevent being swept up into complete identification with the positive social order a text symbolically upholds. The key pedagogic device Burke offers in “Linguistic Approach to Problems of Education” is his practice of reading by “indexing,” which he thought disclosed the symbolic associations of meaning that formed texts, especially ones connected with the representation of social hierarchy, superiority, and inequality. The point of this “indexing” is to discover these symbolic relations. By “indexing,” Burke believes, students would learn to discover how a text makes certain elements equal ‘socially superior’,” and others something different (Henry 1955, p, 271), so that the social representation the text symbolizes will work in a way that is consistent with the hierarchical image society imposes on things. “Indexing” would disclose this symbolic tendency, as well as many others necessary to the transformation of common meanings into new symbolic structures in texts. The persuasiveness of texts tended, Burke thought, to bring readers into acceptance of social representations that might include schemes of value that should not be accepted uncritically, and learning to make these critical discriminations would be essential to education, in his view. “Indexing” would disclose them and learning to study texts in this way would be a special task for schooling. Texts in Burke’s Dramatistic view assume form and meaning by combining motives from their author’s social realm with “intrinsic” motives brought to the text by language. While the words of a text have personal meanings for their author, as well as meanings from other contexts, they embody in their poetic arrangement in the text the social idea of order the author implicitly buys into and represents in the work, from his or her own social orientation. This is what Burke calls the “socioanagogic” function of language. However complete their devotions to art or truth, texts are expressions of the language available to their authors, which is saturated with social values, including the ones that represent hierarchical power and unless readers have ways of recognizing these persuasive “equations,” they will be taken in by them, “appreciatively.” Thus the need for “admonition.” As a text must arrange and subordinate its symbolic elements, it represents arrangements of the things in society these elements represent or associate with. The poetic reader then cannot help in “appreciating” the text also seeing the world through this arrangement of things the text imposes or suggests. Burke writes: “…there is a pageantry in objects, a ‘socioanagogic’ element imposed upon them, so far as man is concerned, because man necessarily approaches them in accordance with the genius of his nature as a symbol-human species. Since language is social in the political, administrative sense, the purely physical sociality of nonlinguistic things thus subtly partakes of this purely symbolic spirit, so far as human dealings with ‘nature’ are concerned” (263). “The purely physical sociality of nonlinguistic things” refers to the real association of things brought about by human imaginative and “administrative” associations. Thus things come to be perceived together in nature as people imagine them as associations of words in their consciousness. The specific value of great poetic texts for education, Burke writes, is in the fact that they are “sufficiently complex and mature to be representatives of human motives” (Henry 1955, p. 264). Thus studying them in school would teach the most fundamental patterns of symbolic association, which will be useful in understanding all or any symbolic expression. The main function of formal education is to teach the student to learn about these beautiful things in a way that allows careful, detached “watching,” rather than immediate moral engagement. Thus the symbolism of a play might “thunder” in the student’s aesthetic appreciation of it, but in Burke’s scheme the student would be taught to “’appreciate’ man’s ways of thundering” perhaps more than the artistic and persuasive effects experienced in reading the text. The student’s attention then would be mainly on the discovery of human ways of acting and forming relations in the world as these are represented in poetic language. The symbolic means thus studied are “absolute,” in Burke’s view—and thus they supply something Brubacher had wondered about in his remarks in the Yearbook, a kind of grounding in truth for education. The student would be allowed to “appreciate” the aesthetic feeling involved in reading a great text, but only with the “admonition” to look through it to the revelation of symbolic means and their relation to general human motives—the “absolutes”—beneath them that should also be available in this study. Burke’s sense of “the ironic nature of the human species” is clear in this formulation. The positive attributes of the study of great texts might be felt in appreciation, a real feeling, but they would not be educational unless they were joined with a sense of their disclosure of something much different at the same time. Art, then, is a part of the “machinery of civilization,” which disguises human motives in pleasurable ways and the analysis of the disguises reveals not just an understanding of what they are, but a recognition of what they otherwise hide, and, for students, of the ways by which the symbolic hides such things. And Burke thought all writing had poetic attributes and thus the socioanagogic could structure expression even in texts that were not considered poetic. The special value of poetic texts for education is in their rich exemplification of symbolic resources. Burke does not exempt the larger context of study—its institutional context insofar as the institution of school represents a social philosophy—from this ironic requirement. The Yearbook asked its contributors to address the question of social philosophies and education and Burke treats this topic in a way that follows from the particulars of his argument about what and how students should study. He suggests that wariness about appreciation should extend to social philosophies because these are positive representations of social order generated in their origins by sets of “thou shall not’s.” Thus such philosophies are orders for societies made not only for telling people how their lives should be but also as defenses against many things that would seem inappropriate. Burke specifically addresses his skepticism to the social philosophy undergirding democratic education, which he acknowledges might be the “ideal” state for education, but which he suggests might only be found in “an ideal world of civilized and sophisticated people.” Democracy is, Burke wrote, “difficult to maintain, except in glimpses and at happy moments” (Henry 1955, p. 284). Burke is not preferring some other social philosophy to democracy, but discounting its offering and suggesting that because it is too often not held as a governing principle some other basis must be found for education. What Burke claims “actually happens in education” is that the democratic and three other general kinds of social philosophy—“training,” “partisanship,” and “humanitarian” authority—tend to mingle with the democratic principle “fluctuantly” (Henry 1955, p. 284). Thus, some advance preparation from a different sort of absolute basis must be necessary. Burke wanted to equip students for solving in their lives the problem of being duped by beautiful works (and ideas) that were less than perfect in their transcendence of the social norms their words embodied. He thought a period of study of great texts would prepare students for this by teaching them the ways of the symbolic resources of texts, especially their ways of equating values with new associations representing preexistent, preemptive social order. Students would learn the poetic resources that effected the compromises of moral meaning in texts in studying ones where these compromises could be seen disinterestedly in light of attention to the means themselves and the patterns of human relations they encoded. The great texts did this in becoming, as it were, Burke thought, obsessively committed to the most complete poetic artistry. Students would need to see this education as a moment apart from the ordinary business of life, which was taken up with almost incessant formulations of meanings in ways that promoted dominant social values and demanded the necessary compromises along with this promotion. Education, then, would be a special moment of “temporary withdrawal,” a provisional, Epicurean sort of retreat. This would not be possible, Burke reasoned, if education were conducted for the aims of a social philosophy, which, in his view, was, like a poetic text, an embodiment of norms that demanded their own compromises. A retreat from all possibilities of normative compromise was then required in education. Studying great poetic texts could allow the subject matter to be studied in a way that was immune to such preemptions, but only if the educational scene itself were also thus exempted. In the processes of “indexing” and other means of studying the symbolic, teachers and students following Burke’s plan would expect that “ ‘Truth’ is absolute, in the sense that one can categorically make assertions about certain basic resources and embarrassments of symbols” (Henry 1955, p. 276). In other words, the study of symbols in texts would give students knowledge of the “resources and embarrassments of symbols,” a reality that transcended interpretations of meanings in texts (or other forms of expression, or events of life). Truth, then, was not to be found in appreciation or interpretation (which could be taken as prompts for action), but in learning the ways of symbols in a setting apart from worldly action. Burke makes the symbolic absolute while recognizing the contingency and persuasiveness of all its uses. His suggestion that these things could best be learned in a state of “temporary withdrawal” from the persuasiveness of language in society makes the state of “good will” that he theorizes at the end of the essay an impermanent good, known only as an effect of studies that revealed the “socioanagogic” and other “embarrassments” as an object of contemplation rather than a prompt for engagement. This essential insight sheds light on Burke’s resistance to social philosophies, even the most humane ones, as possible bases for education. The educational scene must be exempted from engagement. would brood, as with the Flaubert who wrote L’Education Sentimentale. But in its attempts to perfect a technique of brooding, it would learn to cherish the documents as never before. No expunging of records here. All must be kept, and faithfully examined; and not just that it may be approved or disapproved, but also that it be considered a challenge to our prowess in placing it within the unending dialogue as a whole… If we temporarily risk being stopped by such a discipline, let us realize that the discipline is ideally designed precisely to that end… Education must be thought of as a technique of preparatory withdrawal, the institutionalizing of an attitude that one should be able to recover at crucial moments, all along the subsequent way (Henry 1955, p. 272-3). Education would place students in a relation to texts that allowed them to map or locate the assertions or affirmations texts made in the general “dialogue” of meanings that continued, without abatement, even as students and teachers needed to find some way to place it on hold while they learned from it. Burke’s skeptical position in “Linguistic Approach” is the essential one that sets his perspective in all his writings: his belief that subjectivity should transcend social thought, that the world continuously changes and requires personal and social adaptation through the reinvention of expression and ideas, which will use the same devices as the old expressions but in new ways and with new potential embarrassments (George and Selzer 2007). This wariness trumps all other assertions in Burke’s philosophy. It is not skepticism for its own sake, but rather an exploitation of caution for the sake of the subjectivity that criticism would enhance and protect. Burke’s thesis in “Linguistic Approach” – his repositioning of the relation of language study and social philosophy – and its development in the structure of his essay, addressing the Yearbook’s interests, is responsive in a way that was characteristic of Burke. He wrote from his own insight, but used the intellectual context of his day as its foil, or as material he could rearrange and recast in new expressions that would be in keeping with this insight. This was Burke’s fundamental idea of what a poet should do (Rueckert 1982, p. 68 and passim) and he made his critical studies in the same way. The understanding a critical argument could produce would be like the catharsis produced by a work of art, achieved through transformations of familiar materials that were necessary if the original insight was to be held onto in its theoretical embodiment. Brubacher explained in his introduction that the Yearbook committee had set out criteria or guidelines for the articles in the volume, including the request that they should not only summarize their philosophies but tell how they related to education. The sections of Burke’s essay were roughly the ones suggested by the editorial committee for all authors contributing to the volume: general philosophical orientation of the writer; educational aims, values, and curriculum; educative process, methods and motivation; school and society; the school and the individual; and religious and moral education (Henry 1955, p.2). Burke varies this a bit, putting methods and curriculum under “process.” He also adds an epilogue and a personal bibliography. The “problems” referred to in Burke’s essay title follow this division generally; they are the problem of orienting education and social philosophy; of restoring language to prominence within the curriculum (which the proliferation of school subjects in some Progressive Education, and perhaps more saliently the scientific and business curricula included under this umbrella term, obscured, Brubacher explained); the problem of making methodology suit a philosophy of education; of making education a help to the individual as well as the society; and of dealing with religion in education. It is clear that Burke was responding to these interests and using them as prompts for a new expression of his own characteristic ideas. Ultimately, one of Burke’s key distinctions in “Linguistic Approach to Problems of Education” is in his emphasis, which answers some of the questions Brubacher raises for educational theory in a way that is quite different from the answers provided by some of the leading educational philosophers of the day. Many of these thinkers saw education as a process of self-understanding and social awareness developed through democratic problem-solving and decision-making. While Burke’s essay does not directly rebut this leading position in educational theory, it broaches and plays on a critical concern about letting any social philosophy take the lead in understanding. His emphasis on the moment of “good will” rather than democratic social philosophy as the essential aim of education rearranges many ideas that were important to educational theory at the time and in a way this shows Burke carrying out his own philosophy of the symbolic, since the rearrangement allows him to cast an insight that seems sustaining to him in a new formulation that remake some of the commonly accepted ideas he is given to use. The whole of the particular letter from Kenneth Benne that Burke excerpts in “Linguistic Approach to Problems of Education” and Burke’s rejoinder to it are preserved in the Kenneth Benne Papers at the University of Vermont. The full exchange shows Burke at work on “Linguistic Approach to Problems of Education” in 1953, writing several drafts of the essay and responding to critical questions from Benne on several key points. Benne’s comments show him pressing Burke for a direct application of his Dramatistic theory to actual human situations, which Burke resists; Burke’s demurral seems a metaphor for the idea of contemplation he theorizes in “Linguistic Approach to Problems of Education.” The exchange plays out the implicit argument about formal education and social philosophies Burke develops in “Linguistic Approach to Problems of Education” and shows Burke’s commitment to his subtly different idea and its expression of his characteristic position as a philosophical thinker, i.e., as one who seemed engaged in the intellectual and social ideas of his time, but only to use them as foils for his assertion of an idea that resisted engagement. The content of these two typed documents shows that they were written after Burke had made a draft of his article but before he produced the final version of it. Benne’s letter begins “Dear Kenneth Burke,” but Burke’s begins “Replies to Comments by Kenneth D. Benne.” Both lack dates, addresses, signatures or other signs that they were letters, but the fact that Burke refers to the passage he quotes from Benne in “Linguistic Approach” as from his “correspondence” with “Professor Benne” shows that the Benne text was written as a letter. Burke’s “Replies” do not look like a letter but its content responds directly to Benne’s comments in the former document, identifying Benne’s comments by the letters Benne had written to list them. Thus the two documents represent an extended dialogue in correspondence between the two writers about the theme Burke was developing in “Linguistic Approach” before the essay was finalized. The letters treat, in detail, Benne’s suggestion that Dramatistic analysis might be done in schools not only on poetic texts but also on dramatic events of school life, such as reenactments of conflicts within the school—e.g., “playground fights,” mentioned in the part Burke excerpted in “Linguistic Approach” – and Burke’s rejoinders to these arguments. Since Burke was a critic as well as a philosopher, it might seem to follow that he would be interested in making Dramatism a basis for the interpretation of real-life experiences, which is what Pragmatism does and what Benne, using Burkean ideas in The Discipline of Practical Judgment, suggested could be done in deliberative social interactions. Benne also wrote about this in his 1947 review of Burke’s A Grammar of Motives. Burke noted in “Linguistic Approach to Problems of Education” that Benne had there written that Dramatism was not “sufficiently normative, or preferential,” and that it offered only an “implicit” method for interpreting experiences. Thus Benne was suggesting Burke take his Dramatistic critique a step further and show how it would be used to interpret actions in real time, rather than just texts. Burke’s responses, like the theory he develops in “Linguistic Approach,” turn on his commitment to finding the symbolic resources themselves first, and it leaves him with a sense that life itself is much less predictable or amenable to improvement than pragmatist-minded thinkers would suggest. The difference is subtle, but important, and it turns especially on Burke’s idea of “good will” as a moment apart from the fray. Burke’s difference seems to be in his sense that good will is more valuable than whatever might be achieved in engagement in the wrangle of social relations. Though he describes this good will in “Linguistic Approach to Problems of Education” as something necessary for learning in school between a teacher and students, it seems to mean something more generally important in Burke’s view of things, as he hints in his remark about democracy as a good to be experienced only “in glimpses and at happy moments.” Burke is not a pessimist, but he is not an optimist, either. His thinking is essentially ironic. This is not to say Benne lacked a keen sense of irony, but his ironic view seemed to push him all the more toward hoping for a method that would obviate waiting too long to know the meanings of actions experienced in the world. Benne’s interest was in a method for clarifying norms in action, as his question about playground fights indicates, and while Burke’s philosophy was about the interpretation of action, it was not about doing that while an action was happening. Burke’s insistent demurral is more than an argument against Benne, in that it is a logical premise that pushes him to formulate an idea of “good will” in his educational philosophy. Benne, in The Discipline of Practical Judgment and elsewhere, attempted to theorize a method for democratic deliberation that would be continuous with the action of society. But Burke seems to have seen good will as a kind of logical moment that emerged with the possibility of disinterested study of the resources of action and thus as something that was not identical with method and not in itself normative. Burke was in agreement with Benne that life presents people with emergent situations that have to be interpreted, but his idea of education – and criticism - was to that it could not teach interpretation of experiences as perfectly as it could the symbolic resources of action, which could be learned from the study of great texts. But Burke also wanted to teach a methodical “brooding,” ironic contemplation apart from action. You mention ‘typical human situations, such as family quarrels, scenes at a business office, lovers during courtship, a public address by a spellbinder, Etc.’ Here are enactments which might be analyzed, with or without spontaneous dramatization by students, to develop, at least to reenforce [sic], the basic admonitions and appreciations toward human symbol-using (its folly and grandeur) which you wish to communicate educationally… I’m certainly not against textual analysis in education. But I fear if your education in symbolism is limited to textual analysis, the spread of the attitudes developed there to human experiences where symbolic action and animal motion are commingled will hardly take place… I don’t want just an added course in the curriculum to introduce the student to dramatistic analysis of motivation and action, as you suggest in one place. I want it to permeate various areas of school experience—after all ‘action’ is to be found, variously commingled with ‘motions,’ throughout ‘human’ experience—by your definition of ‘human’ actually… True enough, there is a place in education for dramatic texts as test cases. But is the ‘real world of action…in its entirety so confused and unstable for orderly observation?’[sic] A play-ground fight, for example, is by no means formless nor so extended or unstable that it cannot be observed. If it can’t be observed at the time, it can be spontaneously reenacted. While it might not have all the dramatic ‘compactness’ of the duel between Hamlet and Laertes, the same principles of human symbolic action are present also in the play-ground fight, if your analysis of man is generalizable, and I think it is. Why not supplement textual analysis, dramatistically, with analysis of the actual ‘dramas of human relations’ in which students are involved? I think actually some interweaving of ‘text’ and ‘experience’ educationally is more ‘practical’ than relying on either alone. Wouldn’t you strengthen your position on education by recognizing that there is a place for the study both of pure action and impure action-motion in the test cases of human relations used in schools? This last idea represents Benne’s position in educational thought and his attempt to fuse it with Burke’s. Education, Benne thought, has to teach people to study the actions of their lives and it might sometimes have to do so without waiting for a complete course in the ways of symbolic action. Thus the study of action should “permeate” the actions of school life, Benne argues. This study could “supplement” the study of texts. “Permeate” creates a different spatial metaphor from the one Burke had used in theorizing a moment “apart” from the fray and the difference in these devices sums up the different theories in a way. One well might, once he had had the full advantage of fixed forms. As a matter of fact, that’s exactly what one should do, as one developed cues from clear, formal structures, and then tried one’s terminology on realms not thus perfect. But there is a notable problem here. Only accidentally can the comparatively formless incidents of life reveal the finality that is the nearest esthetic equivalent of moral purposiveness. Or, otherwise put: To discern this element in human relations generally, one must have studied it thoroughly in its most perfect expression, as preserved in great documents—and with such insight in mind, one may catch fragmentary glimpses of such motivation in human incidents generally. Thus Burke does not completely disagree with Benne, but he insists on the messiness and murkiness of the results that would be obtained from such studies. The difference seems perhaps only to turn on when these things might be attempted. “Permeating” and “supplementing” get somewhat different roles in the ultimate plan Burke proposes in “Linguistic Approach,” which separates these things logically if not temporally from the “preparatory” stage he believes formal education should constitute. But without that, the idea of education working “under the sign of good will” is not a logical necessity. This means that the difference is a matter of logic, as well as of temporal sequencing in the life of education. The project is not ‘limited to’ textual analysis. It is methodically grounded in textual analysis. But if, having studied the explicit ‘equations’ in a book, one next proceeds by asking himself what equations seem to be implicit in a given man’s conduct, though we grant that the answer to the second question will be more problematical, we cannot see why a training in the first question should confine us to that comparatively sharper realm. Why should it not, rather, help us to consider the full range of possible problems? Perhaps we should specifically note, at some point, that the study of formal drama is as near as we can come to ideal conditions of Dramatistic observation for subject-matter of this sort; yet, once the principles have been developed from such a realm, they can and should be applied mutatis mutandis to the hazards of life in general (with new observations doubtless being derived from the shift in subject-matter). Indeed, the whole purpose of the Dramatistic perspective is to make the step from the observation of action and attitude under the ‘laboratory conditions’ of the mature and complete symbolic act of art, to the observation of action and attitude in human relations generally. But as we have said before, the principles of completion are hard to discern in most haphazard incidents, unless we have been trained to see them—and training for such perception is best developed by the contemplation of perfected forms… As for the ‘spontaneous reenacting’ of some agon in life itself: The new modes of recording (as motion pictures with sound) would seem best for the conditions of observation here. A playground fight that happened to have been recorded (that is, ‘written down’ in our newest modes of ‘writing’) would be capable of endless reenactment for purposes of study—but it is hard to understand how any other kind of ‘spontaneous reenactment’ would be possible. That such detached analysis [as Burke theorizes for education] has a place I would gladly agree. And that it is typically neglected in education I would also agree. My question is whether the analysis must eventually be related to an actual choice, the tentative and inner wisdom gleaned through dramatistic analysis tested in some sort of committed action, in order to complete the therapy, to complete the educational act of seeking wisdom about something… Somehow the ordeal of choice and action is necessary to complete the purchase of wisdom, if for no other reason than to expose the folly of what was gained during the withdrawal from the heat of action, during the circumlocutions preparatory to the purchase. There is formal education, and there is the kind of education we read of in Goethe’s Wilhelm Meister, education in life itself. Education in life itself is essentially ‘tragic,’ in the sense that we learn by suffering (ta pathemata ta mathemata). This process is attenuated in formal education, in that we learn by studious effort, which has its ‘pain’ as well as its gratifications and promises. One may call this a stage of attenuated tragedy, if one thinks of the effort involved; or one may call it attenuated comedy, if one thinks of the ‘unmasking’ that goes with this view of human genius. And insofar as the comic unmasking of human symbol-using in general brings us face to face with a glimpse into the abyss stretching beyond men’s social and linguistic motives (as per last sentence of Permanence and Change), comedy itself takes on tragic dimensions. Clearly, we are here at the point Socrates faced at the end of the Symposium, when after an all-night session he said that the genius of comedy was the same as the genius of tragedy, and that the true artist in tragedy was an artist in comedy, too. To this, we are told, the other symposiasts were ‘constrained to assent, being drowsy, and not quite following the argument.’ Start with tragedy, and its solemnities; then the educative study of its methods is comedy; but follow comedy through ‘to the end of the line,’ and there again looms tragedy. We would consider ‘comedy’ the better name for the lot, however, since we are concerned with secular education—and we would consider religious education closer to a preponderantly ‘tragic’ emphasis. Thus, the “withdrawal” Burke affirms in “Linguistic Approach to Problems of Education” makes possible a comic tone for study in the ‘unmasking’ of the truth of the human condition that education could make possible. The irony of Burke’s play on the words comic and tragic represents the essentially ironic interest he would have education cultivate. Tragedy’s “religious” orientation would bring in another form of contemplation, focused on the metaphysical rather than on the real processes of experience Burke was interested in studying. As he says in “Linguistic Approach,” such things could be studied in the way great texts would be, for their disclosures of symbolic resources, rather than as beliefs. Burke’s educational goal, then, was “sophisticated, verbalized precept” – in other words, a precept of language that would not derive naively from interpretations, or accept interpretation as the form or precept education should resolve itself in. Rather, education’s “sophisticated, verbalized precept” should, Burke believes, derive from the structures of experiential meaning to be seen and learned by looking further into texts than interpretation would see, not from these meanings themselves. As Susan Sontag – who read Burke – put it, the focus of reading might work better if it were “against interpretation,” that is, against the moral drawn by teachers and traditions of reading from texts, and more on appreciative attention to how these texts represented social meanings. The source of the methodology would then not be important except in its delivery of this knowledge. Even Dramatism, then, the source of Burke’s methodology for education, should see itself as dispensable, alerting students and teachers to the possibility that their observations might be influenced by the dramas of their perceptions and so would not really disclose truth objectively. You mention [Benne wrote to Burke] the hope that ‘formal’ education will have its uses, after it is over, as its products withdraw for analytic contemplation of man and his actions in the post-educational turmoil of actual life. I would hope for this too but I would hope that the fruits of the withdrawal, both its admonitory and appreciative ones, might permeate the periods of scramble in between withdrawals, might reduce some of its formlessness, ugliness, and meaninglessness. If, in education, attention is not given to the continuities, as well as the discontinuities between detached symbolic action and the choices which shape the minglings of motions and half-formed actions in the bulk of human experience, the gap between the two worlds of the intellectual and the practical will be widened, rather than bridged. Plato’s dream of the intellectuals taking over the power of the state is a mad one—perhaps undesirable. But can the intellectual come to share, along with the administrative, political and public-relations wielders of powerful symbols, in the shaping of the symbolic constructions that govern men, say no and yes to their choices and aspirations [sic]. If collaboration is the goal, and it certainly isn’t an unmixed good and under some conditions is treason to the intellectuals’ craft of detached manipulation of symbols and symbolic constructions, shouldn’t the goal influence the shape and character of the educational program? Intellectuals need to become more political in order that politicoes [sic] may possibly become more intellectual. The relation of education and politics is theorized by Benne as what John Dewey called “continuity,” which Benne believes should be a key occasion for learning and for the resistance or reconstruction of ideas by everyone for whom they become problems. Benne wants to avoid the logic of Plato’s “mad dream” of intellectuals taking control of society, but not the possibility of intellectual learning being of help to society, which he thought required a democratic process. He is pointing out here something he thinks is missing in Burke’s scheme, the collaboration of adults in thinking through problems in a world where the possibility of philosopher kings telling them what it is wise to do in problematic situations is but a “mad dream.” Burke does not reject this as a real problem, but he cannot accept the moment of contemplation as a mere tool. Instead, his principle of “temporary withdrawal” is a kind of Epicurean-inspired contemplation, a logical interlude in the drama of education, which could be reprised at any time in their lives by those who had experienced and learned it in their youth, and perhaps the highest good in education and the situations of learning it prepares us for. Burke summarized his differences with Benne in brief remarks in a letter he wrote to Hugh Dalziel Duncan on August 20, 1953, just after he completed the manuscript for “Linguistic Approach to Problems of Education.” The difference, as he saw it, was in their different senses of human nature, in spite of Benne’s agreement with much of Burke’s Dramatistic analysis of human relations. Burke notes in his letter to Duncan, “my chapter is now with him [Kenneth Benne], plugging hard for the ‘Dramatistic’ view of man as the ‘symbol-using animal,’ and for an educational program based on that definition.” Burke continued: “But he [Benne] himself, meanwhile, has sent me the outline of a project for a book built around ‘man the chooser,’ so I may not fare so well by the choice. I would, of course, maintain that ‘choice’ in the human sense is but an aspect of the yes-no bizz in general (that fully human choices, in other words, require a preparatory course in symbol-using), but I don’t know whether that will seem cogent to someone who has opted for a different essence. I don’t know…” (ellipsis in the original). These remarks condense Burke’s difference with Benne to its essential element, a difference in their definitions of human nature. The symbolic is for Burke the human difference in the world, the essential character of human nature; being human is then not essentially about being a “chooser,” though human action involves choices. Burke’s philosophy recognizes action – implying continuous choosing – as the main substance of human relations, but his theory includes a way of being at least temporarily apart from the fray of action, as a human possibility of good. Benne’s “man the chooser” makes an existential fact about human life its defining character, which is a mistake Burke seems to think; his own “the symbol-using animal” would be an essential definition, which produces the existential fact of people having to understand their symbolic nature in order to make good choices in the actions it generates. The logic in Burke’s concern over this seems to be that the definition should not indicate the ethical good, which is something to be added to the given quality of life by theory and contemplation, not something springing from human nature. “Man-the-chooser” is a construct that sees human beings as essentially rational, since choice implies rationality. But seeing humans as essentially symbol-users does not imply an essential rationality in their nature, unless this can somehow be discovered in reflecting critically on this symbolic nature and what people do with it. The rational, or critical, for Burke, might be something that distinguishes humans, but it is not their essential nature Burke discusses this briefly in “Linguistic Approach to Problems of Education,” again in response to Brubacher (Henry 1955, p. 260). In his correspondence with Benne he remarks, “I do wince at the thought of passing up the tie-up with Professor Brubacher’s reference to the classical definition of man as “rational animal.” This is important because Burke’s quarrel with the definition “rational animal” represents his essential difference from Benne’s pragmatic-deliberative approach to understanding education, which held that in the processes of their inter-relations, even when these are simulated or improvised for the purposes of study, people could learn what they needed to know in order to solve social problems and make good moral decisions. This was the idea Benne and his colleagues had developed in The Improvement of Practical Intelligence. Burke’s concern is that the meanings of human actions follow a rhetoric of social control through uses of language that disguise the requirements of the dominant social order in everyday terms, in social action as in poetry, though not with the same “perfection” and transcendence of power motives in the latter as in the former. 1 The other exception was Ralph Harper, Director of the Council for Religion in Independent Schools. 2 Burke had worked out his theory of indexing in several essays including “Othello: An Essay to Illustrate a Method” published in The Hudson Review IV (Summer 1951), p. 165-203 and “Ethan Brand: A Preparatory Investigation,” 1952, in The Hopkins Review V (Winter 1952), p. 45-65. 3 “Linguistic Approach to Problems of Education” suggests making theology a subject for Dramatistic study in school, though Burke notes that there would be social obstacles to treating religion as a textual or linguistic matter only, pp. 296-7. 4 The Benne document I cite and quote here begins, “Dear Kenneth Burke”; the Burke one has the numbered running head “Replies to Kenneth Benne.” Both are in the Kenneth Benne papers in the Special Collections of the Gail W. Bailey/David W. Howe Library at the University of Vermont. 5 Benne is referring here to Burke’s discussion of these things in his 1935 book, Permanence and Change. 6 I.e., graduates or adults using what they learned in school. 8 Kenneth Burke “Replies to Benne – 11,” op. cit. 9 In reprinting “What Are the Signs of What? A Theory of Entitlement” in his 1968 collection, Language as Symbolic Action, Burke notes that it was a paper originally given at the Human Relations Center at Boston University in 1953. Papers in the Burke and Benne archives show that Benne had invited Burke to present a paper on that occasion and that Burke wrote “What Are the Signs?” for that occasion, which was the Boston University Founder’s Day conference for that year. The letters show Burke and Benne’s professional relation continuing from 1953, when Burke began “Linguistic Approach to Problems of Education,” at least until 1956. Benne, Kenneth D. (January 1947). “Toward a Grammar of Educational Motives: An Article Review.” Educational Forum, p. 233-9. Benne, Kenneth D. (November and December 1951). “Education for Tragedy” Educational Theory. Brubacher, John S. (1955). “The Challenge to Philosophize about Education.” In Modern Philosophies and Education: The Fifty-fourth Yearbook of the National Society for the Study of Education. Edited by Nelson B. Henry. Chicago: Published by the Society and distributed by University of Chicago Press. Burke, Kenneth (1955). “Linguistic Approach to Problems of Education.” In Modern Philosophies and Education: The Fifty-fourth Yearbook of the National Society for the Study of Education. Edited by Nelson B. Henry. Chicago: Published by the Society and distributed by University of Chicago Press. Burke, Kenneth. (2007). Essays Toward A Symbolic of Motives 1950-1955. Edited by William H. Rueckert. West Lafayette, IN: Parlor Press. George, Ann and Jack Selzer. (2007). Kenneth Burke in the 1930. Columbia, SC: University of South Carolina Press. Henry,Nelson B. (ed.). (1955). Modern Philosophies and Education: The Fifty-fourth Yearbook of the National Society for the Study of Education. Chicago: Published by the Society and distributed by University of Chicago Press. Kenneth Benne Papers, Special Collections, Bailey/Howe Library, University of Vermont. 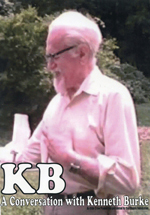 Kenneth Burke Papers, Pennsylvania State University Libraries. "Kenneth Burke’s Pedagogy of Motives" by William Cahill is licensed under a Creative Commons Attribution-No Derivative Works 3.0. Based on a work at www.kbjournal.org.